Nautical by Nature: Mr. and Mrs. High Cotton contest: calling all engaged couples! 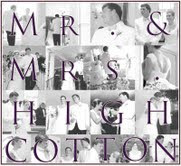 Mr. and Mrs. High Cotton contest: calling all engaged couples! I am so excited to share this fun contest from High Cotton Ties. I posted about High Cotton Ties (and headbands) last spring and in the past year they have added pocket t shirts, school colors and more! Here's how the contest works: Engaged couples enter for a chance to be crowned "Mr. & Mrs. High Cotton" and receive complimentary wedding attire from High Cotton Ties (up to $1200)! AND if the winning couple is one of my readers, High Cotton ties will do a $500 giveaway for my blog readers this spring! Make sure to put NBN under "How did you find out about the contest?" The fine print: Maximum prize winnings of up to $1200 retail value of High Cotton Ties products for your wedding. Prize winnings may be used on the groom, groomsmen, and ring bearers only. Example: $1200 retail value is roughly equivalent to 10 cummerbund sets + shipping. As Mr. & Mrs. High Cotton, we may request the use of certain wedding photos with your permission. I would love to see a nautical High Cotton Ties wedding so make sure to enter if you are engaged! I entered, thanks to you!!! My fiancé and I would LOVE to me MR & MRS HIGH COTTON! I got an e-mail confirming they got our submission. So we will see how it goes!